Sleep well and begin every new day completely relaxed and rejuvenated! Our rooms are oases of peace! Here, you can simply unwind, snuggle, listen to music, watch TV, or just enjoy the glorious mountain views. Depending on your needs and wishes, you can choose from different categories of room. Even if you decide in favor of a more inexpensive category, you will have to make no sacrifices when it comes to the comfort of the beds as well as the basic amenities, including bath or shower, WC, bathrobes and hairdryer, radio, cable TV and telephone. comfortable living space awaits you in our double rooms with balcony. The rooms are designed in the typical style of country homes in this region and they have a private balcony. 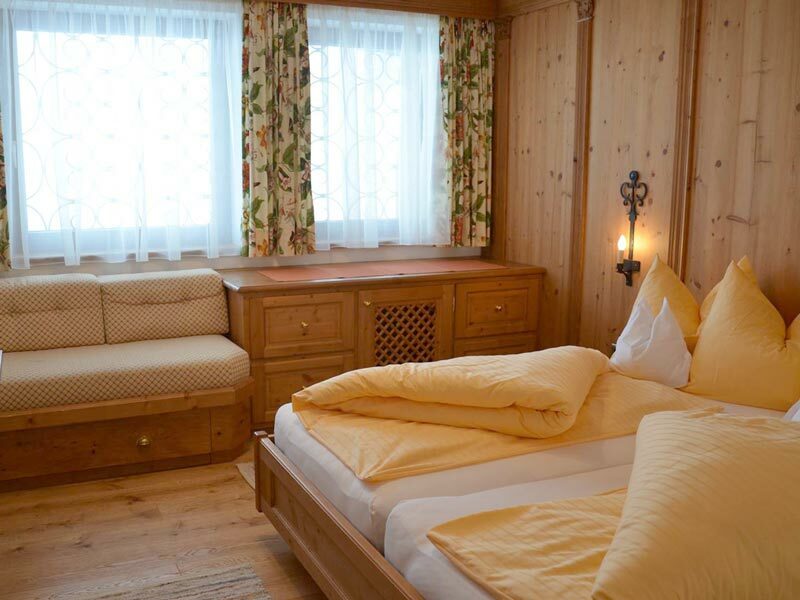 Our "Wöster" double rooms are designed in the typical style of country homes in this region and feature modern furnishings. Double room "Omeshorn" may also be booked as triple room "Omeshorn". 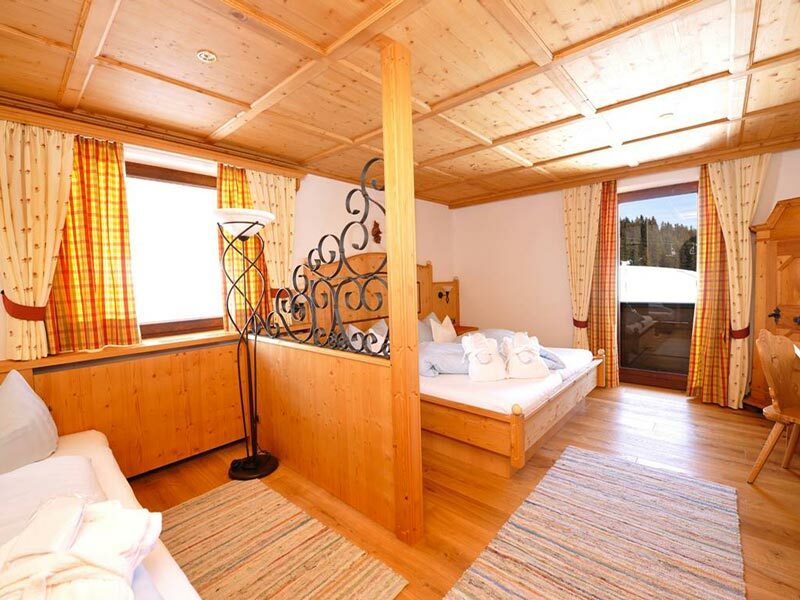 The "Omeshorn" features the same amenities as double room "Rüfikopf", however WITHOUT A BALCONY. It is designed in a typical country style and features a bunk bed with special dimensions (200x100cm).